With the clanging of church bells leading the tumultuous charge into the panoramic sensation of their new album “Sleep Mountain”, The Kissaway Trail have returned with a renewed sense of purpose. “Sleep Mountain” is less a reinvention for the Danish quintet than a fabulous progression in the wake of its predecessor, 2007’s already grandstanding self-titled debut. “The Kissaway Trail” album established a sublime fusion of different musical strands. Imagine the urgent ebb-and-flow dynamic of bands as diverse as Sonic Youth and The Flaming Lips with bona fide singer-songwriters, from Neil Young’s plangency to the dreaminess of "Another Green World"-era Eno and the frailty of Daniel Johnson. 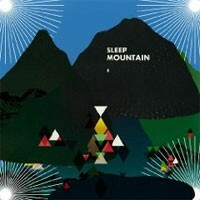 “Sleep Mountain” simply refines, improves and enriches that fusion. “Our previous album had a lot of different flavours to it, clearly showing that we were a band in the process of discovering ourselves,” declares co-singer/guitarist Thomas Fagerlund, “whereas the new album has a greater sense of direction and style, and shows that we had grown as musicians and people as well.” Add in dabs of electronica to the breadth of guitars and you have a contemporary, timeless, vulnerable rock classic. Darryl says: Superb album, taking the fragile beauty of Mercury Rev, the lofty grandeur of Arcade Fire and the sonic dynamics of Sonic Youth. One of the albums of the year so far! !